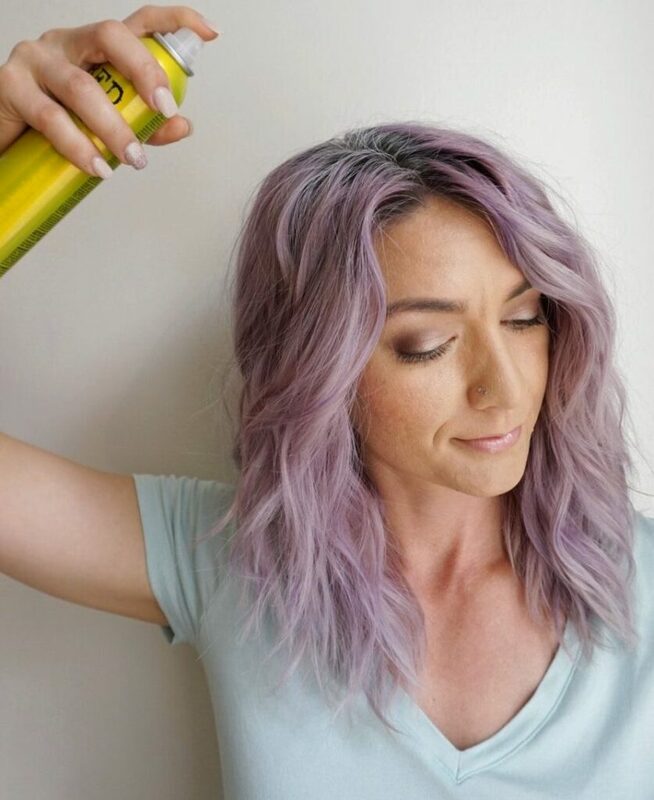 Now that I’ve shared my favorite dry shampoo, I’d like to share some tips on how and when to properly apply it. Let’s start with when. 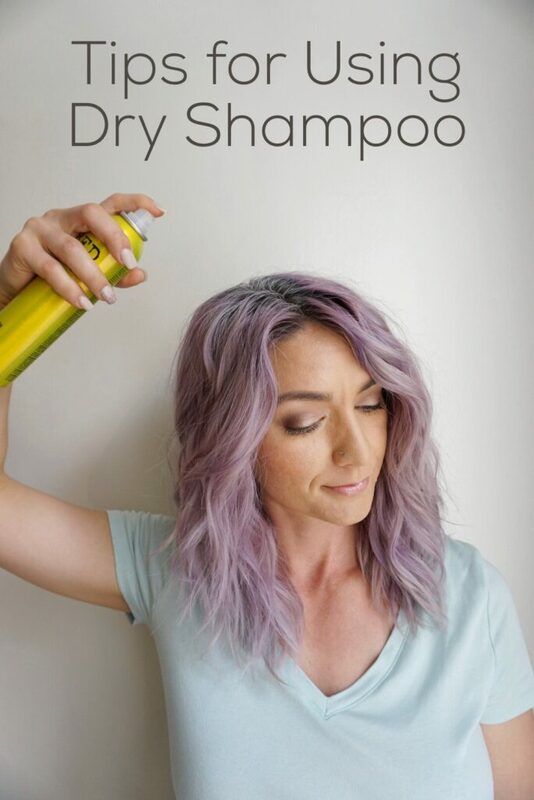 Do NOT wait to apply dry shampoo. 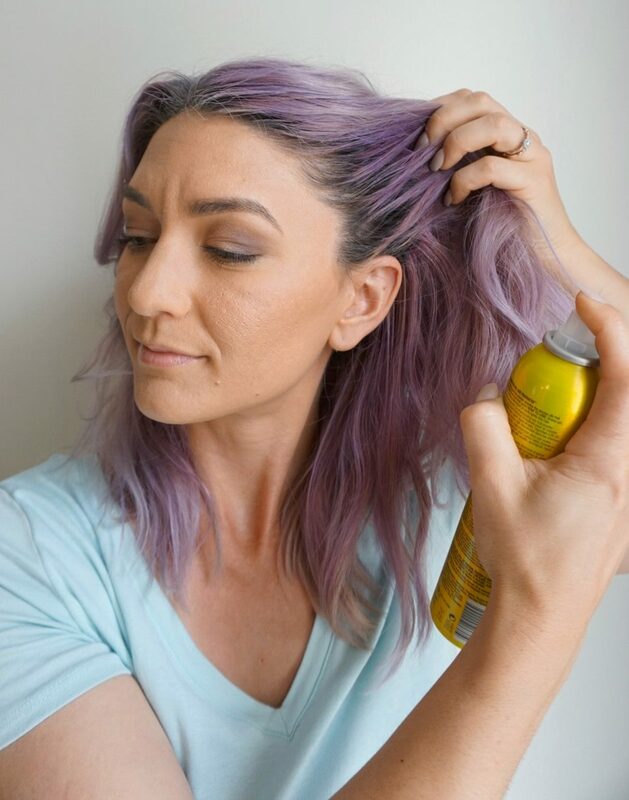 What I mean is, if your hair is too oily the dry shampoo may not work as well because it has to work harder to absorb and disguise the oil. I usually apply dry shampoo on day two because my hair is just barely starting to get oily. 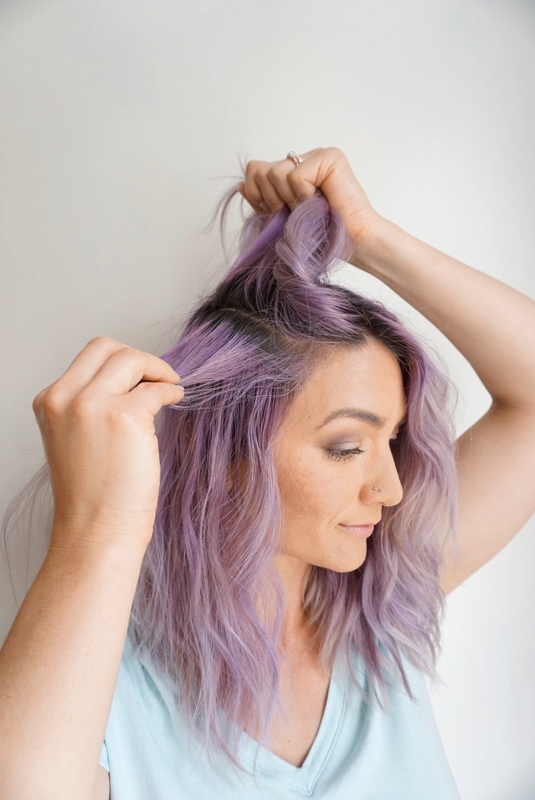 This actually helps in the long run as well because there will be dry shampoo leftover on your hair strands to continue absorbing new oils the next day. I always thought applying dry shampoo was a no-brainer, but after talking with and watching a few of my friends use it, I realized that it isn’t. 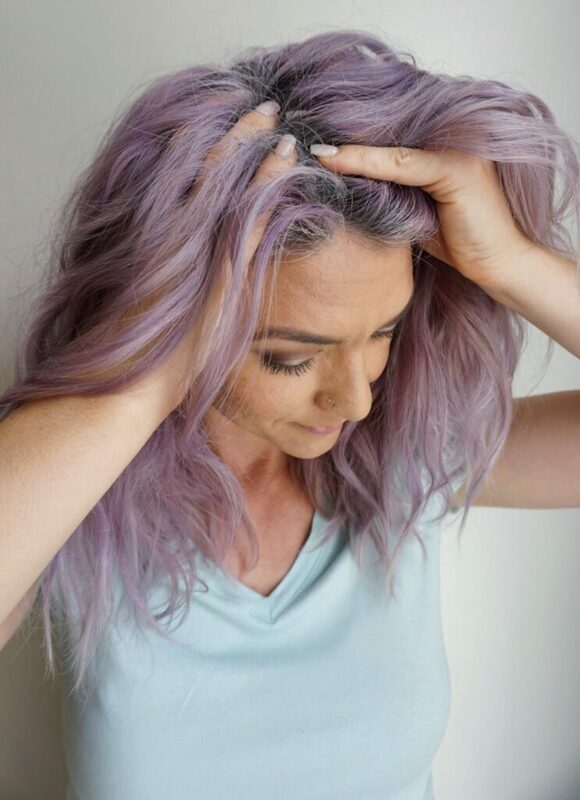 The first thing you need to know about the application process is the importance of directing the dry shampoo right at your root (and yes, I planned for my hair to purposely have roots for this post so you all can see the area I’m talking about). Looking at the photo above, you can see where I like to start. 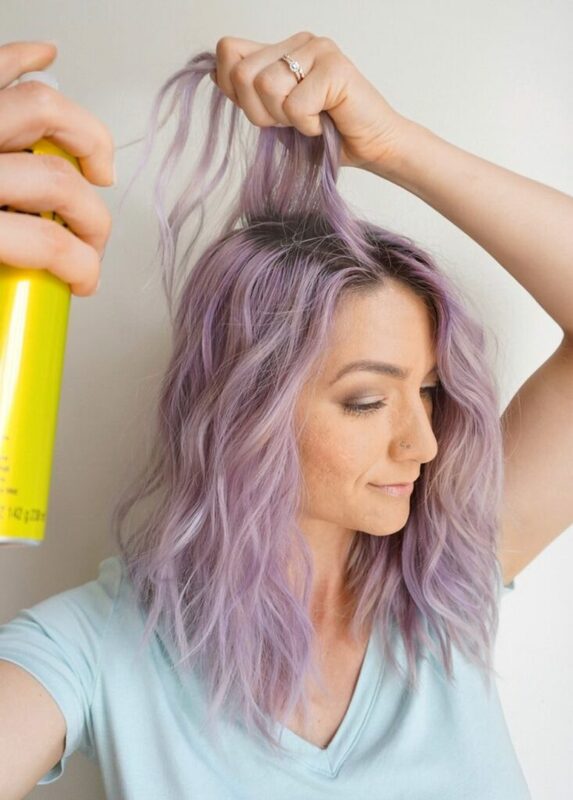 Taking horizontal sections, quickly spray the dry shampoo back and forth along the part line. 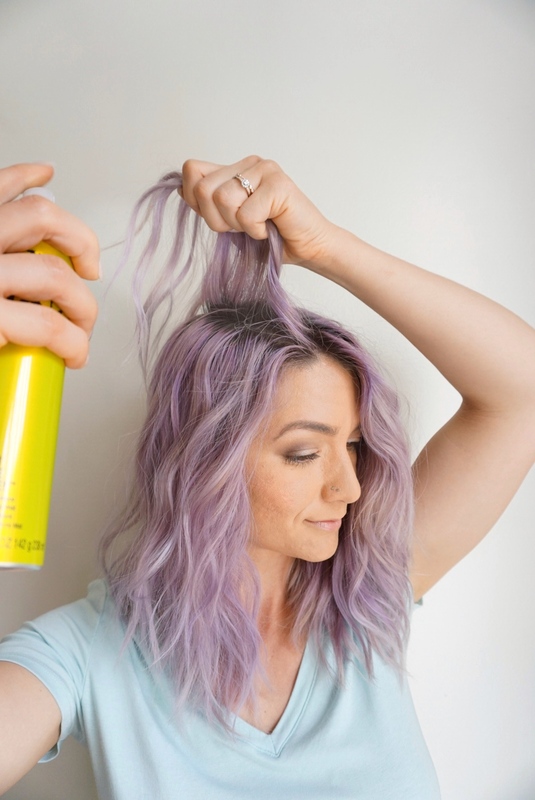 WARNING: This dry shampoo comes out very fast and aggressively so you need to spray and move the bottle quickly. 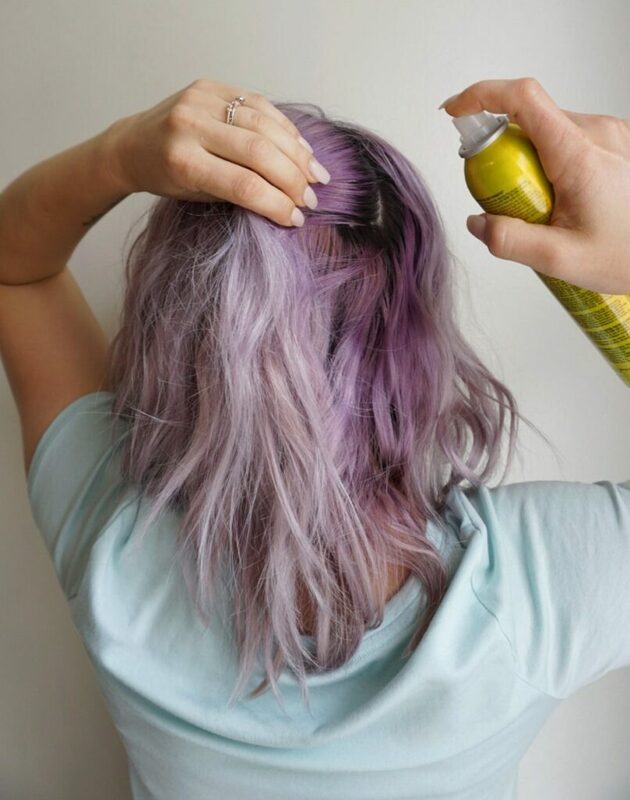 After you’ve sprayed the first section, continue sectioning your hair horizontally moving up towards the top of your head. After one side is complete, repeat the process on the other side then spray your part line. After spraying your part you will need to spray the back, and instead of using horizontal sections I prefer to take vertical sections working from one side to the other. You will also need to spray the front hairline (photos below of these steps). 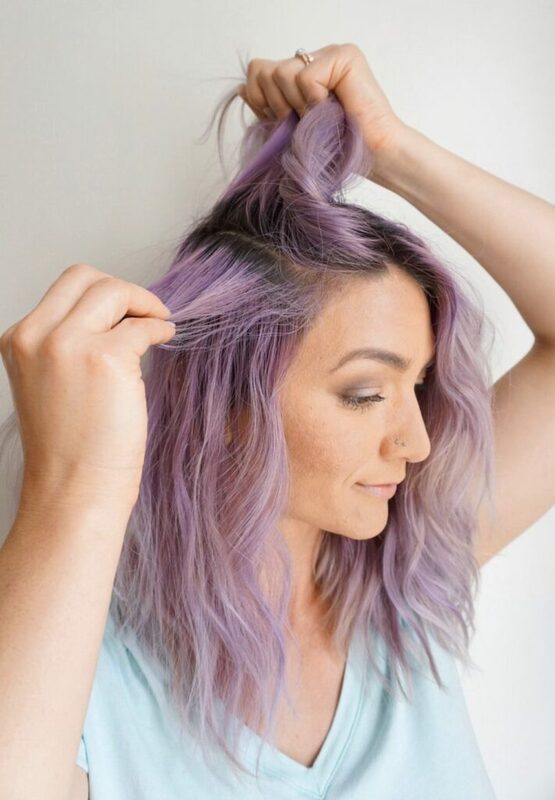 Now that you’ve sprayed the entire top area of your head you must WAIT until the dry shampoo turns white and is COMPLETELY DRY (photo below). 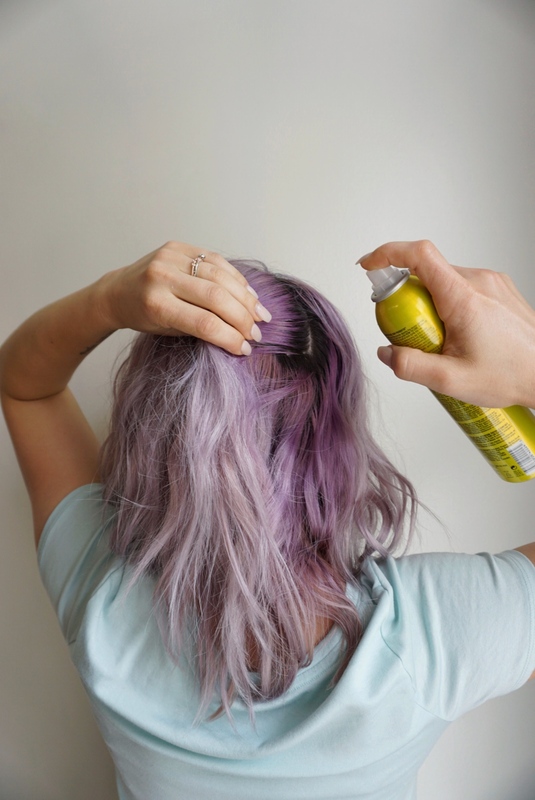 Most people don’t like dry shampoo because it turns white and powdery, but that’s what makes it work! 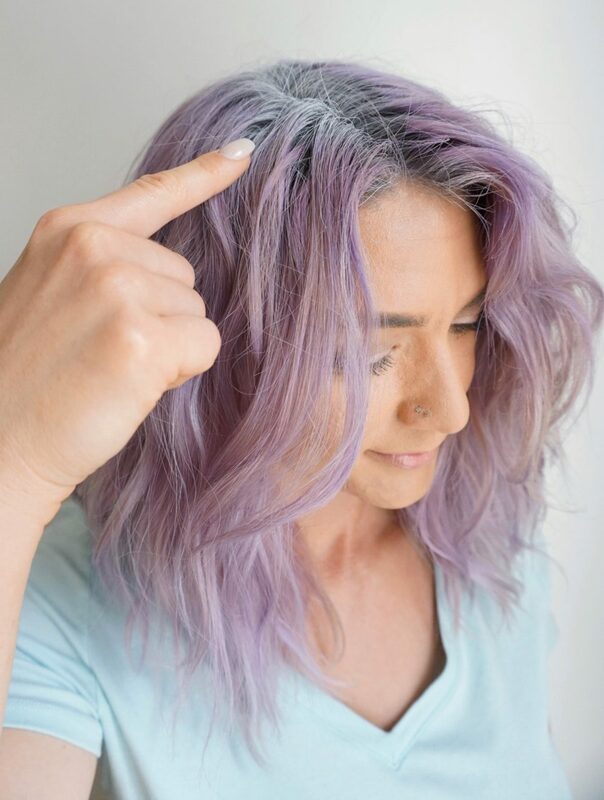 If you don’t let it dry completely before touching the dry shampoo, it simply will not be effective because the powdery white substance is what absorbs the oils. 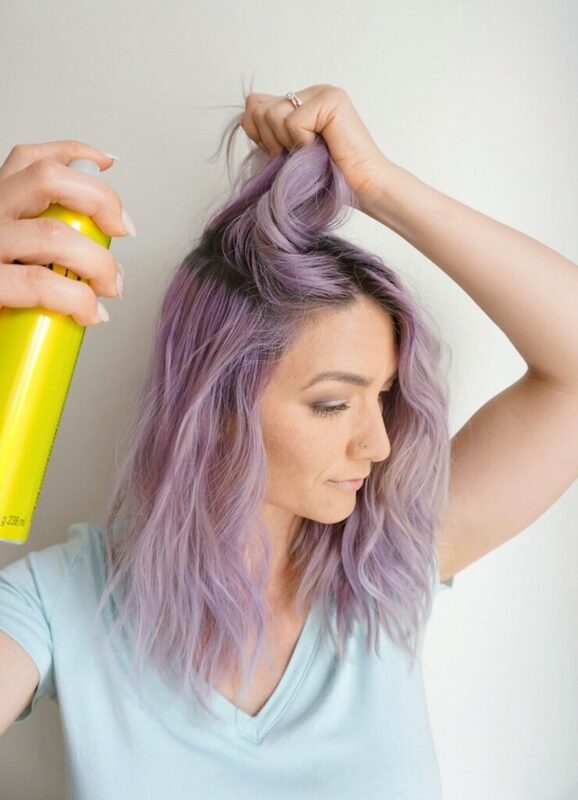 Now you will need to massage the dry shampoo until it is no longer white, concentrating near your part and hairline. That’s it!! 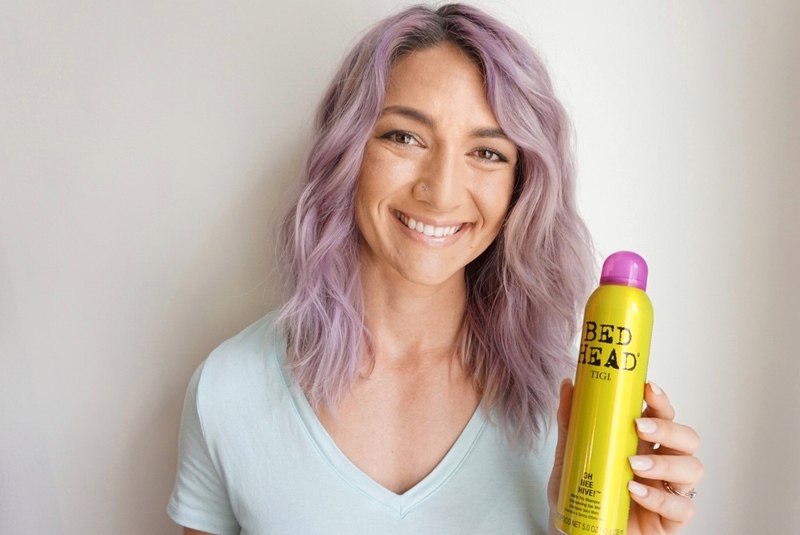 You can find Bed Head “Oh Bee Hive” online or ask your stylist where you can buy it locally. Did I mention it smells amazing too!? For more great hair ideas check out Hair and Makeup Girl!